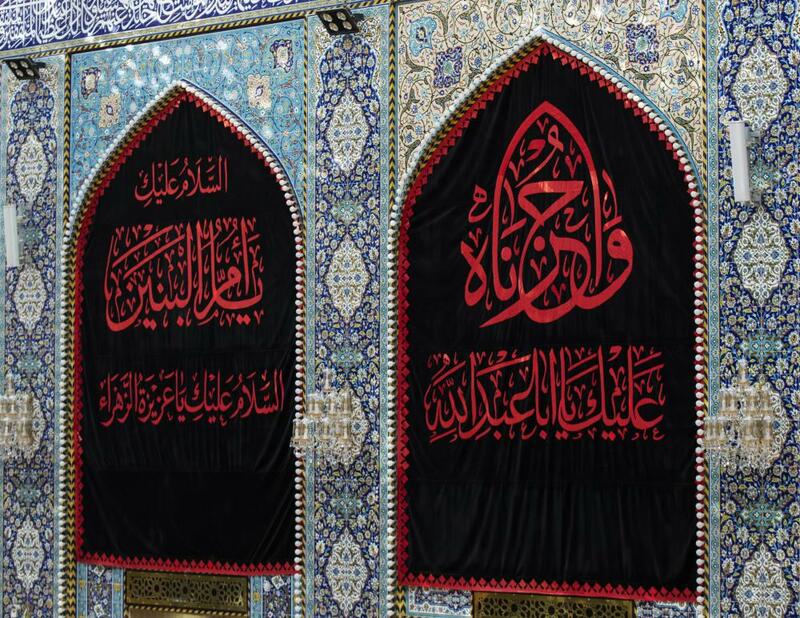 With the approach of the sorrows season, hanging mourning banners on the walls and gates of the al-Abbas's (p) holy shrine. 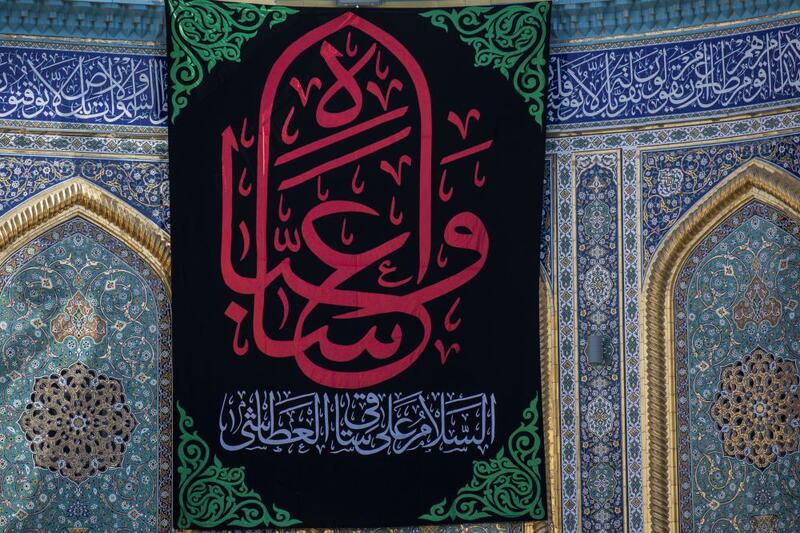 Imam as-Sadeq (peace be upon him) said: "When the crescent of Muharram appears, the angels spread the shirt of al-Hussayn (peace be upon him) while it is stained with blood. 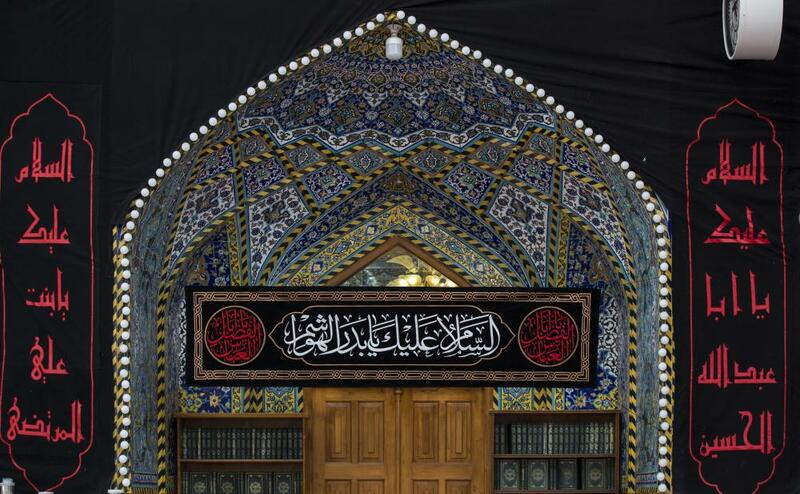 Thus, we see it and him who loves us with the insight not with sight, so our souls get sad..."
On the basis of this narration, the grief began to loom on the al-Abbas's (p) holy shrine to announce the state of mourning in this great anniversary, the martyrdom anniversary of the beloved grandson of the Holy Prophet (Allah's prayers be upon him and upon his holy Household); Aba Abdillah al-Hussayn (peace be upon him). 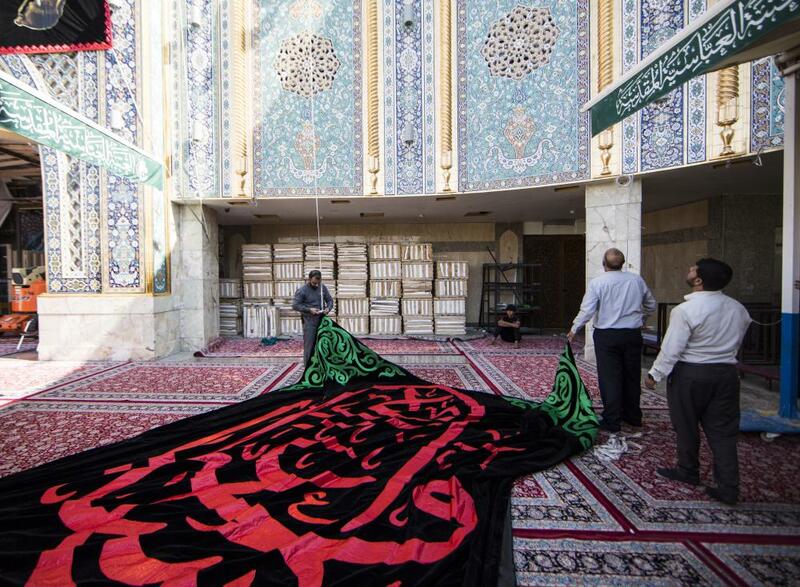 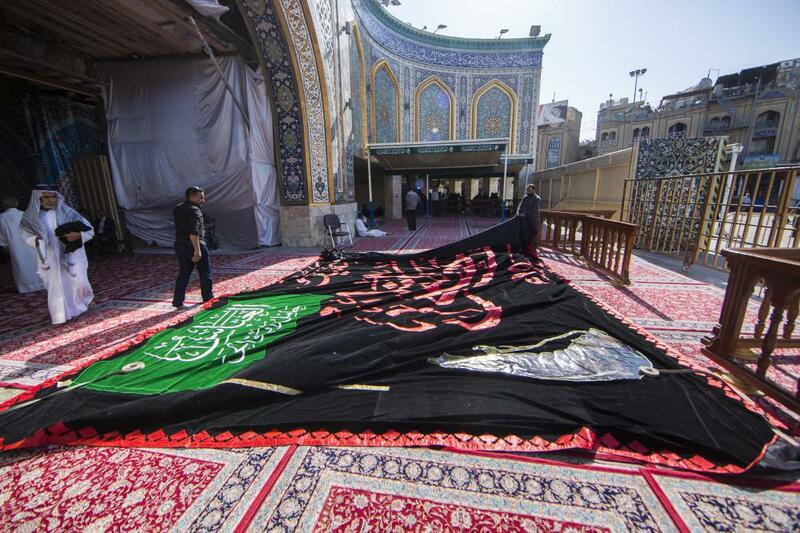 The department of the care of sanctuary at the al-Abbas's (p) holy shrine has started its special preparations for the holy month of Muharram, starting by showing the sorrow. 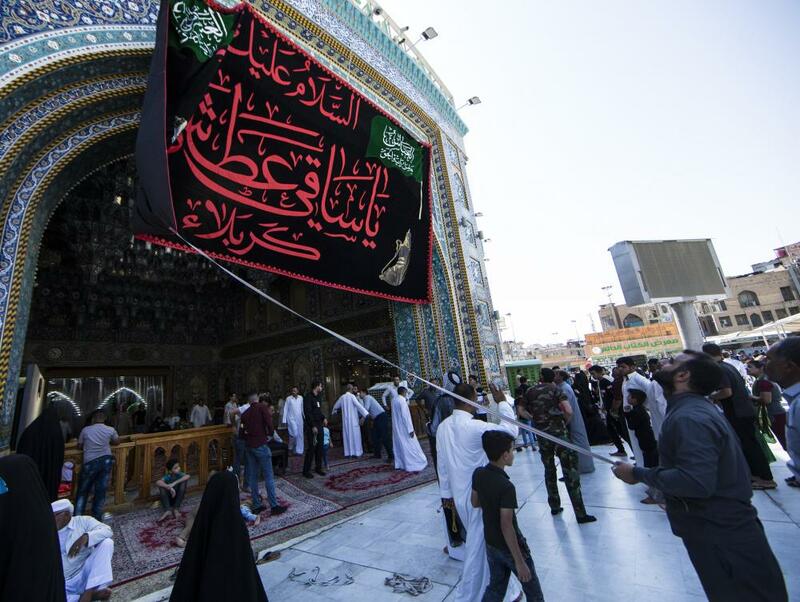 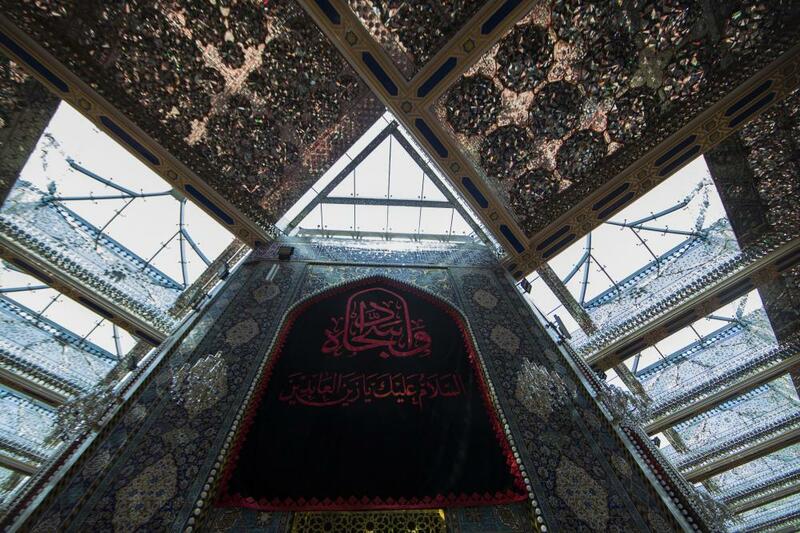 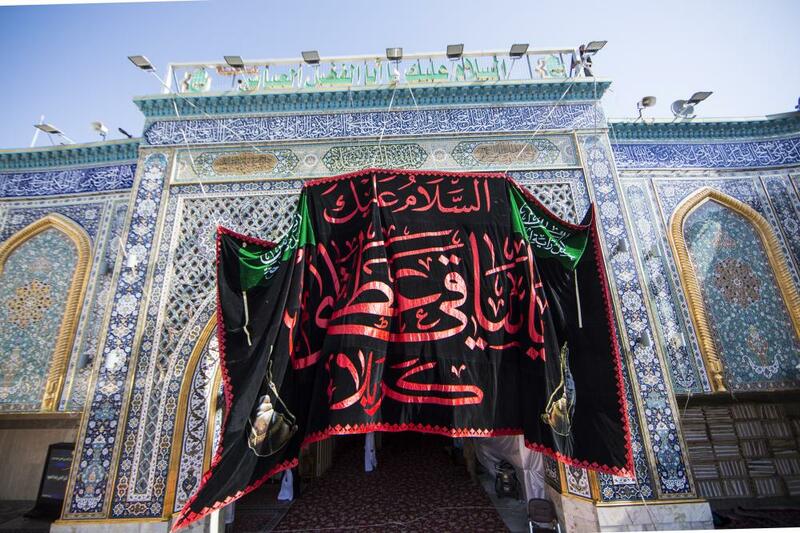 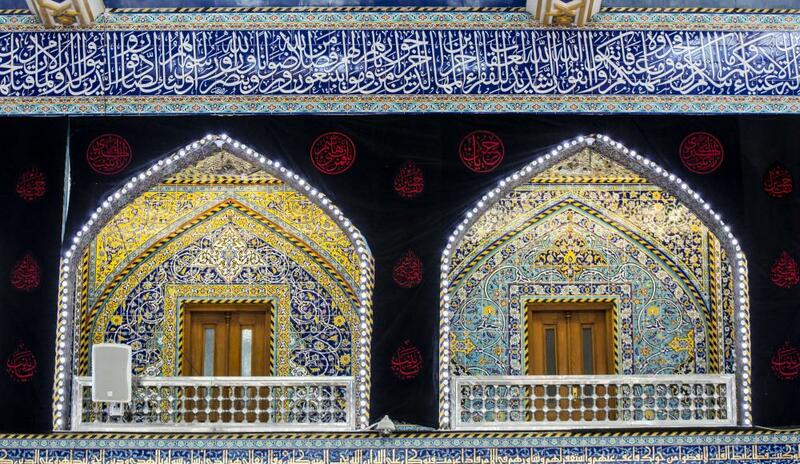 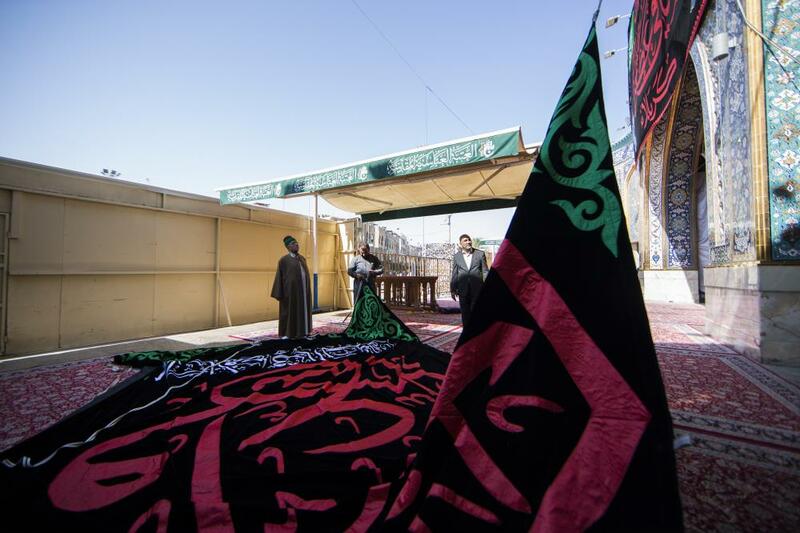 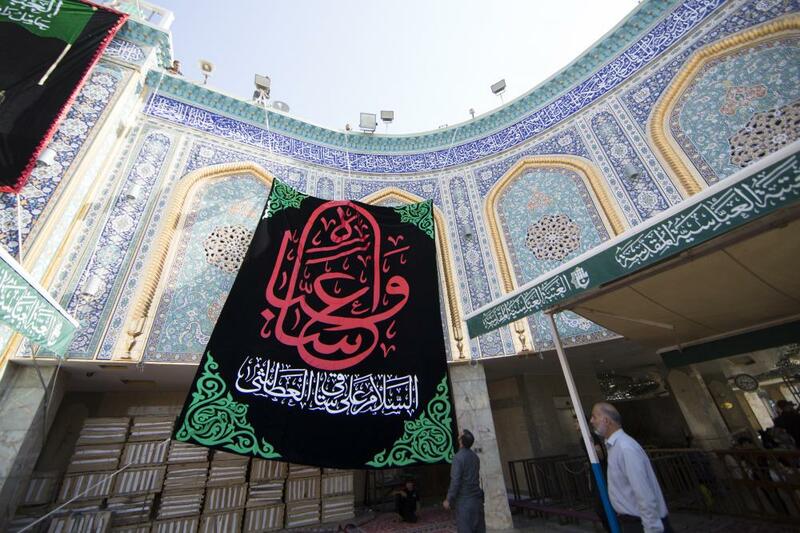 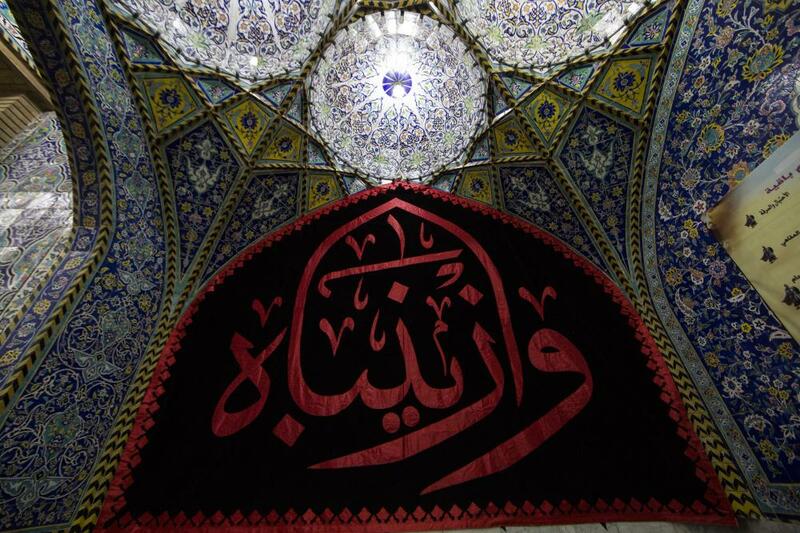 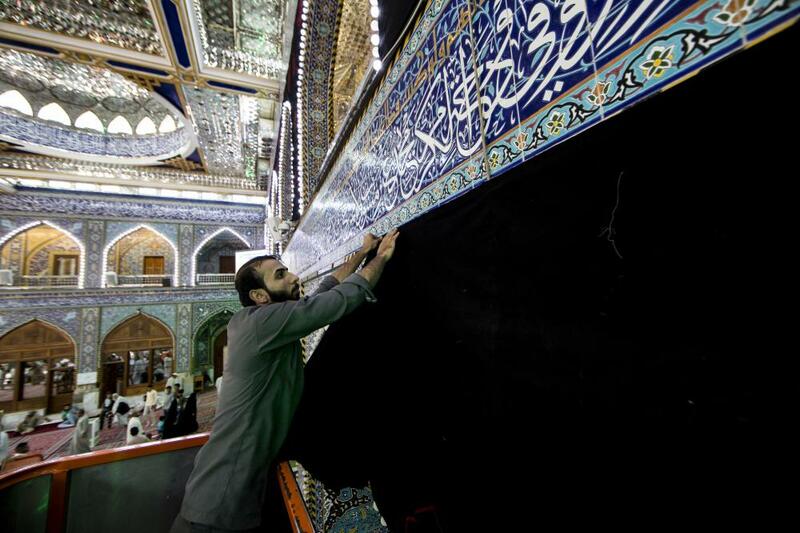 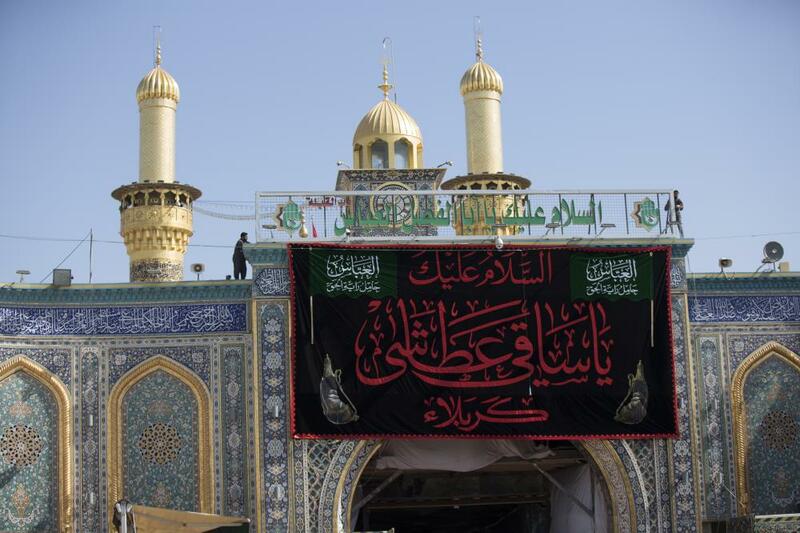 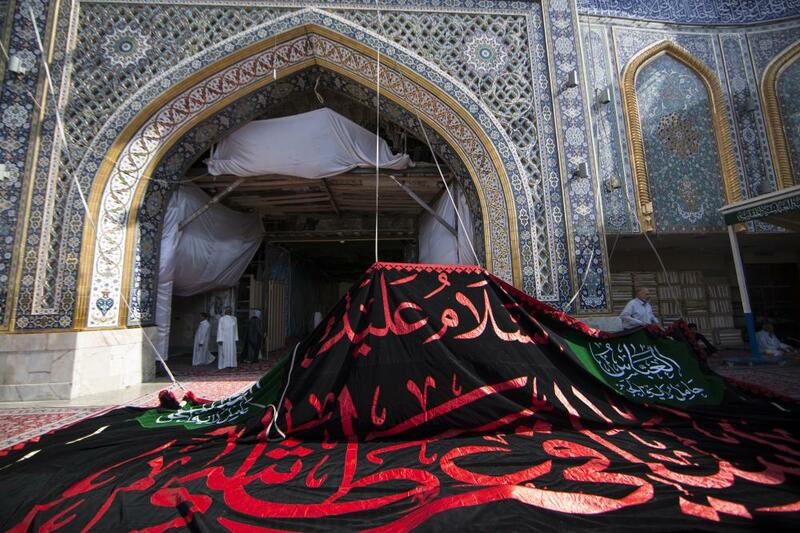 The department has started since few days covering the holy shrine of Aba al-Fadl al-Abbas (peace be upon him) in black, in addition to the preparation of all matters related to the sad month and creating the appropriate atmosphere for the visitors coming to the holy city of Karbala to perform the mourning rituals.